Sign up now you to score $5 off your first month of the popular Allure Beauty Box, making it only $10 + FREE Shipping – normally $15! 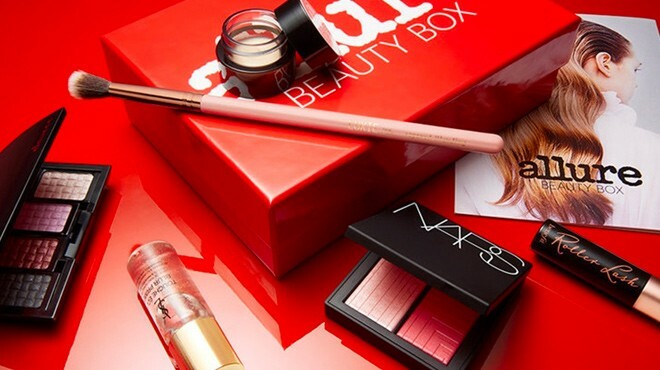 Allure’s monthly beauty box offers top-trending makeup and beauty picks with a $50-$90 value. Plus, you’ll also receive a FREE Mystery Bonus Gift with your order, a $10 value! These boxes come with with both full and travel-sized trending beauty products selected by Allure experts. You’ll also score a mini-mag filled with tips, shortcuts, and more! After receiving your first Allure Beauty Box, you’ll be enrolled in a subscription for $15 a month. This is perfect for someone who wants to try out the latest and greatest beauty products! There’s no obligation to keep the subscription and you can cancel at any time!